Polysleep Pillow Review| Read This Review Before Ordering. Polysleep Pillow Review was recently completed by the MattressJunkie.com team. Polysleep recently launched their pillow and we have been stoked to check it out. Polysleep has one of the most comfortable mattresses we have reviewed so the expectations of the pillow were definitely high. 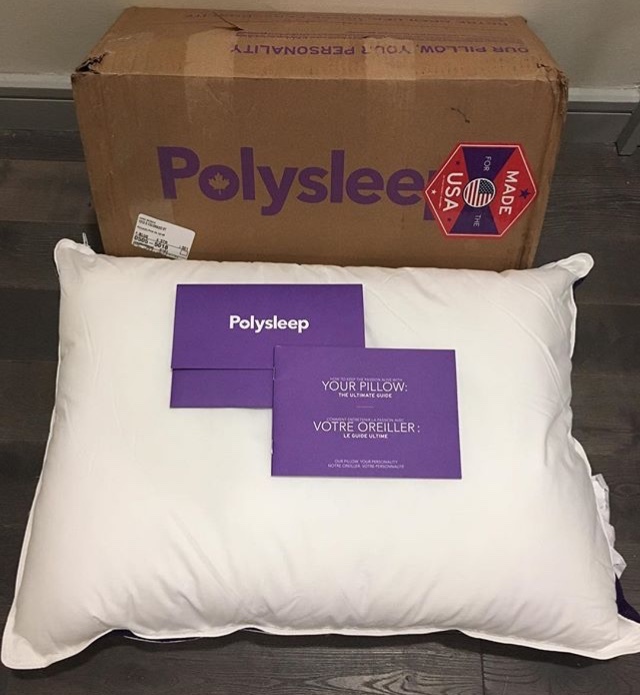 Polysleep is located in Canada and ships it’s sleep products direct to consumers in the US and Canada. 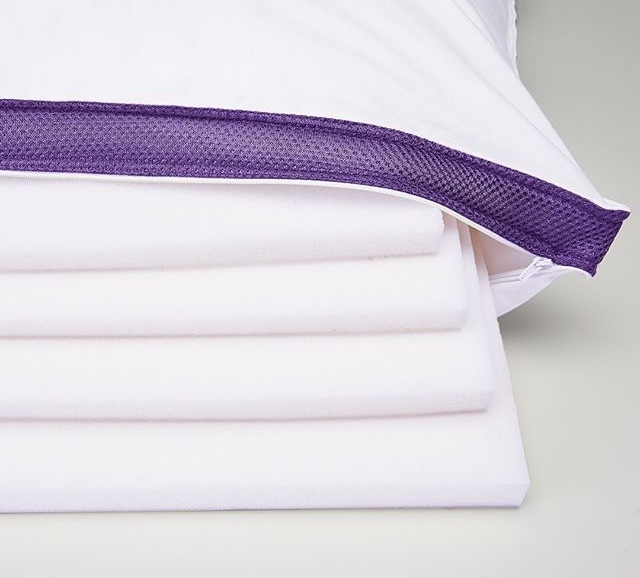 By focusing on innovation and teaming up with one of the oldest foam producers in Canada, they have over 50+ years of experience in handcrafting high quality sleep products. We spend 1/3 of our life in bed and sleeping is so essential to our overall health and well-being. Check out more of our thoughts on the Polysleep Pillow below. Tell Me More About The Polysleep Pillow. 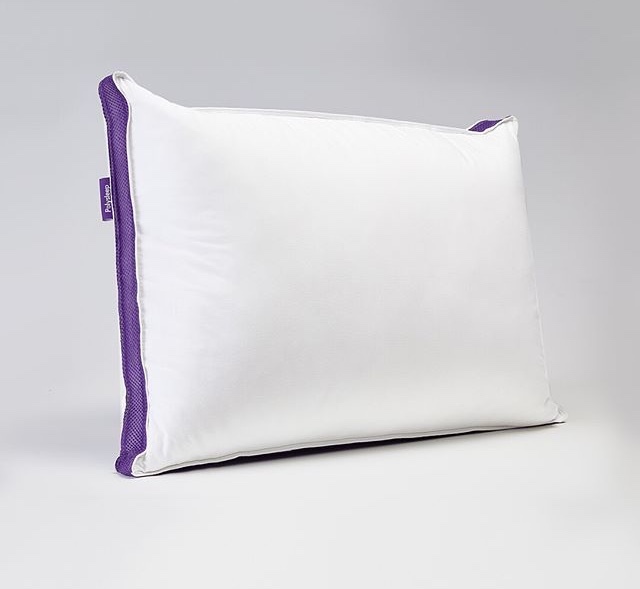 Polysleep has a white with purple accent, super soft cover. The cotton cover is zippered and can be machine washed. The inside supportive layers are made up of hybrid foam and are removable so you can fully adjust the pillow to your personal loft preference. The viscoelastic hybrid foam is anti-microbial which works great for those that suffer with allergies and wards off bacteria and germs throughout long term use. What are the exact measurements of the Polysleep Pillow? The Polysleep Pillow is 19 inches by 26 inches. How Much Does the Polysleep Pillow Cost? The Polysleep Pillow is $59 for US and $79 for Canadian orders. 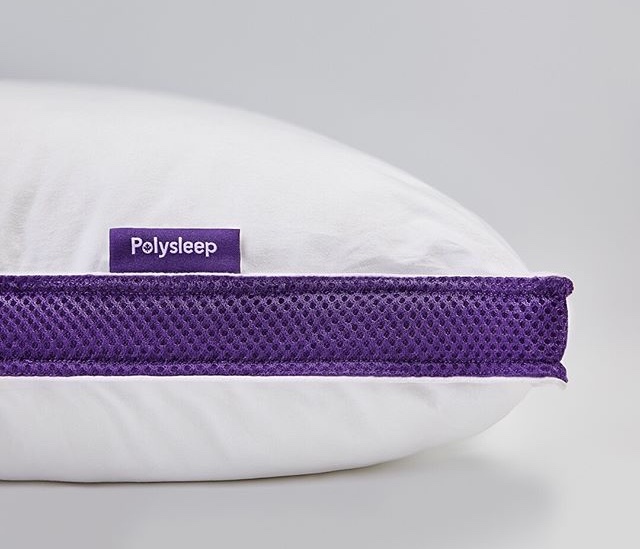 What Type of Warranty Does the Polysleep Pillow Have? The Polysleep Pillow comes with a 3 year warranty against manufacturers defects. Does The Polysleep Pillow Come With A Sleep Trial? The Polysleep Pillow comes with a 30 night sleep trial so you can try it out and make sure it’s exactky what you want. If you decide it’s not for you for any reason, you can get a full refund with that first 30 days. Polysleep adjustable pillow is high quality and works for all sleep styles. With my allergies, being able to wash my pillow cover and having the peace of mind that the inside of my pillow is anti-microbial is a major bonus. The pillow itself feels luxurious. If you are in the market for a new pillow, Polysleep would be a great option. Use JUNKIE5 to save $5 on any pillow order! If you live in Canada, check out Polysleep’s CA site here….